With apologies to Paul Revere, this post is on the lookout for cooler weather with an eye on both the Land and the Sea. UAH has updated their tlt (temperatures in lower troposphere) dataset for March. Previously I have done posts on their reading of ocean air temps as a prelude to updated records from HADSST3. This month also has a separate graph of land air temps because the comparisons and contrasts are interesting as we contemplate possible cooling in coming months and years. The March update to HadSST3 will appear later this month, but in the meantime we can look at lower troposphere temperatures (TLT) from UAHv6 which are already posted for March. The temperature record is derived from microwave sounding units (MSU) on board satellites like the one pictured above. This month also involved a change in UAH processing of satellite drift corrections, including dropping one platform which can no longer be corrected. The graphs below are taken from the new and current dataset. The UAH dataset includes temperature results for air above the oceans, and thus should be most comparable to the SSTs. There is the additional feature that ocean air temps avoid Urban Heat Islands (UHI). The graph below shows monthly anomalies for ocean temps since January 2015. The anomalies over the entire ocean dropped to the same value, 0.11C in August. Warming in previous months was erased, and September added very little warming back. In October and November NH and the Tropics rose, joined by SH. In December 2018 all regions cooled resulting in a global drop of nearly 0.1C. The upward bump in January in SH was reversed in February. Despite some February warming in both NH and the Tropics, the Global anomaly cooled. Now in March the cooling appears in all regions resulting in a global decline in SST anomaly of 01C since 01/2019. Except for the Tropics, the ocean SSTs match those of 2015. We sometimes overlook that in climate temperature records, while the oceans are measured directly with SSTs, land temps are measured only indirectly. The land temperature records at surface stations record air temps at 2 meters above ground. UAH gives tlt anomalies for air over land separately from ocean air temps. The graph updated for March is below. The greater volatility of the Land temperatures was evident earlier, but has calmed down recently. Also the NH dominates, having twice as much land area as SH. Note how global peaks mirror NH peaks. In November air over NH land Global and surfaces bottomed.despite the Tropics. By January all regions had almost the same anomaly. Now in March an upward bump in NH has pulled the Global anomaly up, and both are comparable to early 2015. SH and the Tropics air over land are currently matching other regions, in contrast to starting 2015 much cooler. TLTs include mixing above the oceans and probably some influence from nearby more volatile land temps. Clearly NH and Global land temps have been dropping in a seesaw pattern, now more than 1C lower than the peak in 2016. TLT measures started the recent cooling later than SSTs from HadSST3, but are now showing the same pattern. It seems obvious that despite the three El Ninos, their warming has not persisted, and without them it would probably have cooled since 1995. Of course, the future has not yet been written. With apologies to Paul Revere, this post is on the lookout for cooler weather with an eye on both the Land and the Sea. UAH has updated their tlt (temperatures in lower troposphere) dataset for January. Previously I have done posts on their reading of ocean air temps as a prelude to updated records from HADSST3. This month I will add a separate graph of land air temps because the comparisons and contrasts are interesting as we contemplate possible cooling in coming months and years. The February update to HadSST3 will appear later this month, but in the meantime we can look at lower troposphere temperatures (TLT) from UAHv6 which are already posted for February. The temperature record is derived from microwave sounding units (MSU) on board satellites like the one pictured above. The anomalies over the entire ocean dropped to the same value, 0.12C in August (Tropics were 0.13C). Warming in previous months was erased, and September added very little warming back. In October and November NH and the Tropics rose, joined by SH. In December 2018 all regions cooled resulting in a global drop of nearly 0.1C. The upward bump in January in SH was reversed in February. Despite some warming in both NH and the Tropics, the Global anomaly cooled. The trajectory is not yet set, but soon we will see if the long-expected El Nino appears in NH and Tropics SSTs. We sometimes overlook that in climate temperature records, while the oceans are measured directly with SSTs, land temps are measured only indirectly. The land temperature records at surface stations record air temps at 2 meters above ground. UAH gives tlt anomalies for air over land separately from ocean air temps. The graph updated for February is below. The greater volatility of the Land temperatures was evident earlier, but has calmed down recently. Also the NH dominates, having twice as much land area as SH. Note how global peaks mirror NH peaks. In December air over Tropics fell sharply, SH slightly, while the NH land surfaces rose, pulling up the Global anomaly for the month. In January both NH and SH cooled slightly, pulling the Global anomaly down despite some Tropical warming. Then in February, air temps over both NH and SH land rose, pulling the Global anomaly slightly upward to match 12/2018. What Warming 1978 to 1997? 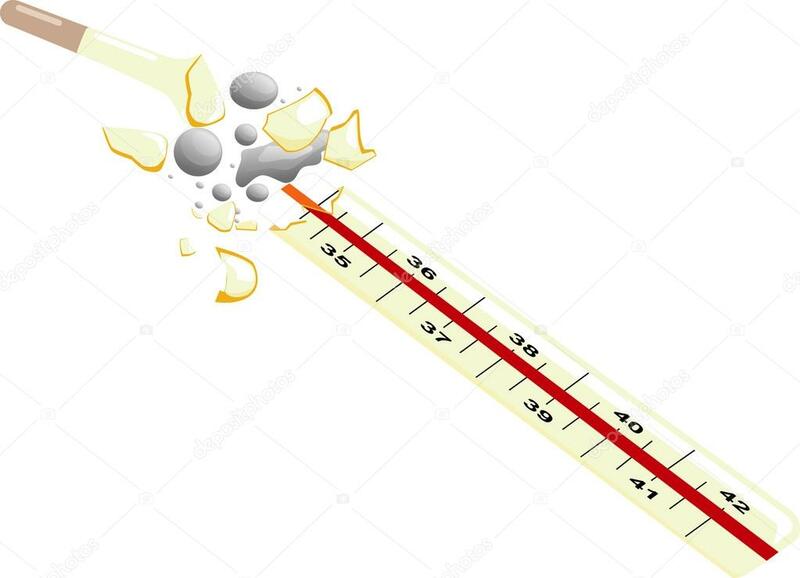 Flawed thermometers can lead to false results. We first look at ocean data. There was a great shift, after 1980, in the way Sea Surface Temperatures (SSTs) were measured (see Goretzki and Kennedy et al. JGR 2011, Fig. 1), “Sources of SST data.” Note the drastic changes between 1980 and 2000 as global floating drifter buoys and geographic changes increasingly replaced opportunities for sampling SST with buckets. The estimated biases for the global and hemispheric average SSTs are shown in Figure 3 (orange areas). They increase from between 0.0 and −0.2°C in the 1850s to between −0.1 and −0.6°C in 1935 as the proportion of both canvas buckets and fast ships increases. 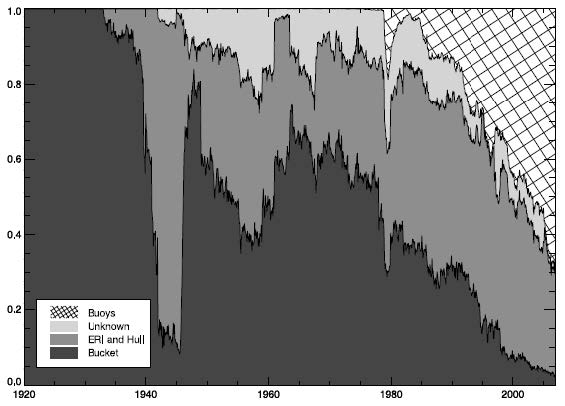 From 1935 to 1942, the proportion of ERI (Engine Room Inlet) measurements increases (see also Figure 2) and the bias approaches zero. Between 1941 and 1945, the biases are between 0.05 and 0.2°C. The positive bias is a result of the large numbers of U.K. Navy and U.S. ERI measurements in the ICOADS database during the Second World War. In late 1945, the bias drops sharply and becomes negative again, reflecting an influx of data gathered by U.K. ships using canvas buckets. The bias then increases from 1946 to the early 1980s, becoming predominantly positive after 1975, as insulated buckets were introduced and ERI measurements become more common. After 1980, the slow decrease in the bias is caused by the increase in the number of buoy observations. 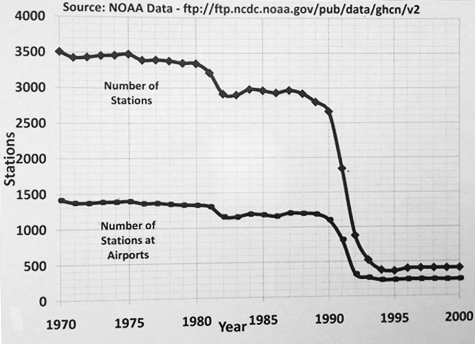 Figure 2: Weather stations at (potential) airports. Source: NOAA. Obviously, if there is no warming trend, these demonstrations fail—and so do all their proofs for AGW. The January update to HadSST3 will appear later this month, but in the meantime we can look at lower troposphere temperatures (TLT) from UAHv6 which are already posted for January. The temperature record is derived from microwave sounding units (MSU) on board satellites like the one pictured above. The anomalies over the entire ocean dropped to the same value, 0.12C in August (Tropics were 0.13C). Warming in previous months was erased, and September added very little warming back. In October and November NH and the Tropics rose, joined by SH. In December 2018 all regions cooled resulting in a global drop of nearly 0.1C. Now in January an upward jump in SH overcame slight cooling in NH and the Tropics, pulling up the Global anomaly as well. While the trajectory is not yet set, it is the highest ocean air January since 2016. We sometimes overlook that in climate temperature records, while the oceans are measured directly with SSTs, land temps are measured only indirectly. The land temperature records at surface stations record air temps at 2 meters above ground. UAH gives tlt anomalies for air over land separately from ocean air temps. The graph updated for January is below. The greater volatility of the Land temperatures is evident, and also the dominance of NH, which has twice as much land area as SH. Note how global peaks mirror NH peaks. In December air over Tropics fell sharply, SH slightly, while the NH land surfaces rose, pulling up the Global anomaly for the month. In January both NH and SH cooled slightly, pulling the Global anomaly down despite some Tropical warming. Presently, air temps over land were the lowest January since 2014 both Globally and for the NH, despite warmer temps over SH and Tropical land areas. What is Scientific Truth? 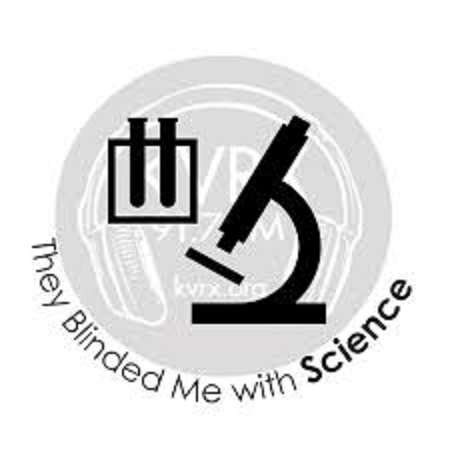 Previous posts here have discussed the difference between science as a process of discovery (“sciencing” if you will), and science as a catalog of answers to how the world works (“scientism” in this sense). On this issue, I am following Richard Feynman, and also Arthur Eddington, who is quoted at the end. This post dives into the struggle over truth and science in contemporary society. It also discusses some underlying philosophical confusions leading to distortions of scientific processes and discoveries. Michela Massimi is Professor of Philosophy of Science at the University of Edinburgh in Scotland. She works in history and philosophy of science and was the recipient of the 2017 Wilkins-Bernal-Medawar Medal by the Royal Society, London, UK. 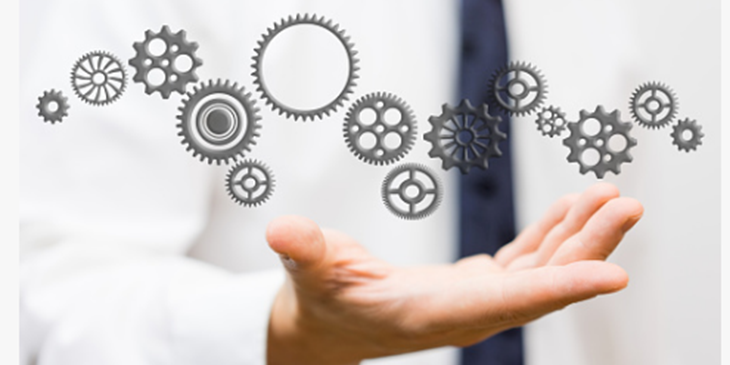 Her article recently published at Aeron is entitled Getting it right. Excerpts in italics with my bolds and images. My takeaway: Science matters only because Truth matters. But do read her entire essay for your own edification. Title is link to essay. In some scientific quarters, this Comtean notion of how science evolves and progresses remains common currency. But philosophers of science, over the past half-century, have turned against the representation of science as a ceaseless forward march toward truth. It is just not how science works, how it moves through history. It flies in the face of the wonderful and subtle historical nuances of how scientific revolutions have in fact occurred. It does not accommodate how some of the greatest scientific minds held dearly to some false beliefs. It wilfully ignores the many voices, disagreements and controversies through which scientific knowledge has often advanced and progressed over time. In each of these questions, ‘science’ is a generic placeholder for whichever scientific discipline we are interested in questioning. Question one might strike us as otiose but, in fact, it triggered one of the liveliest debates of the past 40 years. Bas van Fraassen launched this debate as to whether science aims at truth with his pioneering book The Scientific Image (1980). Does science aim to tell us a true story about nature? Or does it aim only at saving the observable phenomena (namely, providing an account that makes sense of what we can observe, without expecting it to be the true account about nature)? There are philosophers today who embrace the view that science does not need to be true in order to be good. They argue that asking for truth is risky because it commits one to believing in things (be it epicycles, phlogiston, ether or something else) that might prove false in the future. 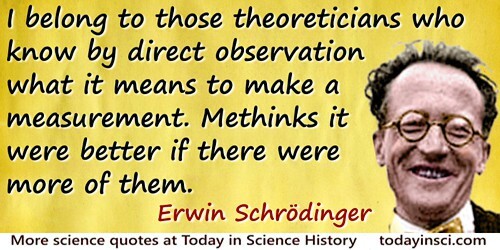 In their view, ‘empirically adequate’ theories, theories that ‘save the observable phenomena’, are good enough for science. For example, one might take the Standard Model in high-energy physics not as aiming at the truth about whether the world is really carved up into quarks, leptons and force carriers; whether these entities really have the properties that the Standard Model says they have; and so on. When it comes to the second question – does science tell us the truth? – scientific realists and anti-realists of various stripes have debated it. Leaving aside the aim of science, let us concentrate on its track record instead. Has science told us the truth? Looking at the history of science, does it amount to a persuasive story of truth accumulated over the centuries? Philosophers, historians, sociologists and science-studies scholars have all challenged a simple affirmative answer to this question. This decades-long, multi-pronged, disenchantment-with-truth trend in philosophy of science starts by rejecting the idea that there are facts about nature that make our scientific claims true or false. Fact-constructivism is only one aspect of this multi-pronged disenchantment-with-truth trend. Outlandish as this might sound, its defenders claim that there is not a single, objective way that the world is; there are rather many different and ‘equally true descriptions of the world, and their truth is the only standard of their faithfulness’, in the words of the philosopher Nelson Goodman. For example, he claimed that we do make facts, but not like, say, a baker makes bread, or a sculptor makes a statue. In Goodman’s view, we make facts any time we construct what he called a ‘version’ of the world (via works of art, of music, of poetry, or of science). Fact-constructivism sounds too radical to many philosophers, and alienating to most scientists. So here is another approach against factual truth, well-known among philosophers of science. Over the past 40 years, they have produced an extraordinary amount of work on models in science. The role of abstractions and idealisations in scientific models, they maintain, is to select and to distort aspects of the relevant target system. The billiard-ball model of Brownian motion, for example, represents the motion of molecules by idealising them as perfectly spherical billiard balls. Moreover, the model abstracts, or removes, molecules from their actual environment, which is of course where collisions among molecules take place. Studying modelling practices in science has led some to argue that science does not tell the truth but it does provide important non-factive understanding. Consider, for instance, Boyle’s gas law, which captures the relation between pressure p and volume v in an ideal gas at constant temperature. At best, Boyle’s law is true ceteris paribus (ie, all else being equal) in highly idealised and contrived circumstances. There simply is no ideal gas with perfectly spherical molecules displaying ‘atomic facts’ (in a quasi-Wittgensteinian sense) that make Boyle’s law true. Despite being true of nothing real, the billiard-ball model of Brownian motion and Boyle’s ideal gas law do nonetheless provide important non-factual understanding of the behaviour of real gases. For they allow scientists to understand the relation between decreasing volume and increasing pressure in any gas, even if there are no atomic facts in nature about perfectly spherical molecules corresponding to such idealisations. Does it really help to imagine that there is some one full, objective, true account of nature and that the proper measure of scientific achievement is the extent to which it brings us closer to the ultimate goal? … Successive stages in that developmental process are marked by an increase in articulation and specialisation. And the entire process might have occurred, as we now suppose biological evolution did, without benefit of a set goal, a permanent fixed scientific truth, of which each stage in the development of scientific knowledge is a better exemplar. 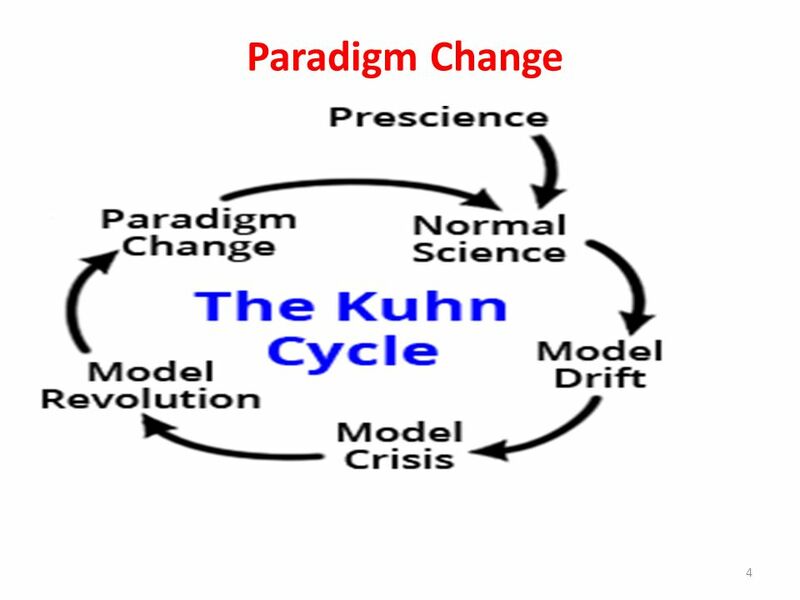 For Kuhn, truth is not an overarching aim of science across scientific revolutions. Nor do scientific revolutions (eg, from Ptolemaic to Copernican astronomy) track truth either. What they do, at best, is to increase our ability to solve anomalies that beset the previous paradigm (as when we eventually discovered that retrograde motion was only an illusion, and not something that needed epicycles and deferents to be explained). We see the spirit of Kuhn’s warning in discussions today. Truth itself is not enough to settle or even guide debates about expertise, trust, consensus and dissent in science. The philosophers of science Inmaculada de Melo-Martín and Kristen Intemann have described the matter well in their book The Fight Against Doubt (2018). When it comes to the role of science in policymaking, the key is ‘engaging in discussions with all relevant parties about the values at stake, rather than the truth of particular scientific claims’. Policymaking involves politics and values, and ‘disagreement about values cannot, and should not, be decided by scientists alone’ or by just scientific evidence. 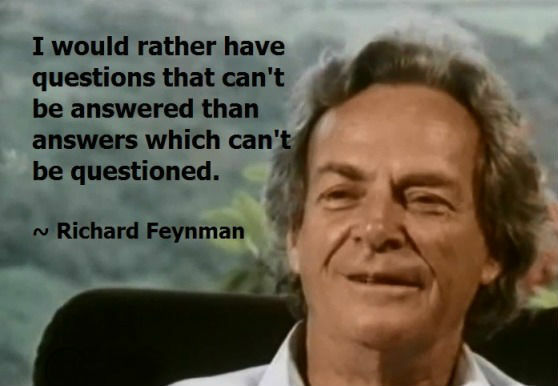 The third question is whether we should expect science to tell us the truth, or is truth (or at least the notion of factual truth) not best left to logicians and metaphysicians? While critical analyses of factual truth are indeed best left to logicians and metaphysicians, philosophers of science should not abdicate their responsibility to talk about truth in science. The quasi-Wittgensteinian myth of atomic facts as the truth-makers of scientific claims has proved inadequate to even scratch the surface of very complex practices in science. But that is not a good reason (or pretext) for forgoing truth altogether. Nor is it a reason for concluding that science should not be expected to tell us the truth. But whose truth? By whose lights? Some might be tempted at this point by a Jamesian pragmatist theory of truth. American pragmatism has traditionally provided an alternative way of thinking about truth, which some philosophers of science see as more congenial to capturing the complex nuances and the power structure of scientific practice. In James’s words: ‘“The true” … is only the expedient in the way of our thinking, just as “the right” is only the expedient in the way of our behaving.’ Stripped of its rhetorical flourishes, for James to be true is (to a good approximation) to work successfully. A scientific model is true – on a loosely Jamesian view – if it successfully facilitates and enables activities (be they epistemic or not). If the billiard-ball model of Brownian motion helps scientists to predict the behaviour of gas molecules, for example, the model is (pragmatically) true. The falseness of the presumption of perfectly spherical molecules does not matter. The risk with a James-inspired conception of truth, as I see it, is that it is too malleable to resist the tides of time and the stresses of social forces endlessly at work in science. A James-inspired view of truth abdicates the expectation that science tells us the truth in the name of a non-better-qualified kind of success of a scientific practice. But how to tell apart cases where success does indeed track truth from cases where it does not? More to the point, when it comes to matters such as climate change, the benefit of vaccinating children, or economic forecasts, we seem to need more than a malleable Jamesian conception of truth for the sake of scientifically informed decisions that do not bow to pressure from powerful lobbies and political agendas (in the name of what ‘might work’). But, someone might reply, how can truth and pluralism go hand in hand if not by opting for a Jamesian conception of truth (if we really care about truth at all)? There is another way of thinking about how truth and pluralism might go hand in hand, without reducing matters of truth to calculations of what is pragmatically good to individuals or communities sharing a scientific perspective at some point in time. First, it is necessary to understand the key term ‘scientific perspective’ and how it impinges on scientific pluralism. In its original use by the philosopher Ronald Giere in 2006, ‘scientific perspective’ is akin to Kuhn’s disciplinary matrix: a set of scientific models (including the relevant experimental instruments to gather data). In broader terms, scientific perspective is the disciplinary practice of a real scientific community at any given historical time. It includes the knowledge they produce, and the theoretical, technological and experimental resources they use, or that guide their work. The time for a defence of truth in science has come. It begins with a commitment to get things right, which is at the heart of the realist programme, despite mounting Kuhnian challenges from the history of science, considerations about modelling, and values in contemporary scientific practice. In the simple-minded sense, getting things right means that things are as the relevant scientific theory says that they are. Climate science is true if what it says about CO2 emissions (and their effects on climate change) corresponds to the way that things are in nature. 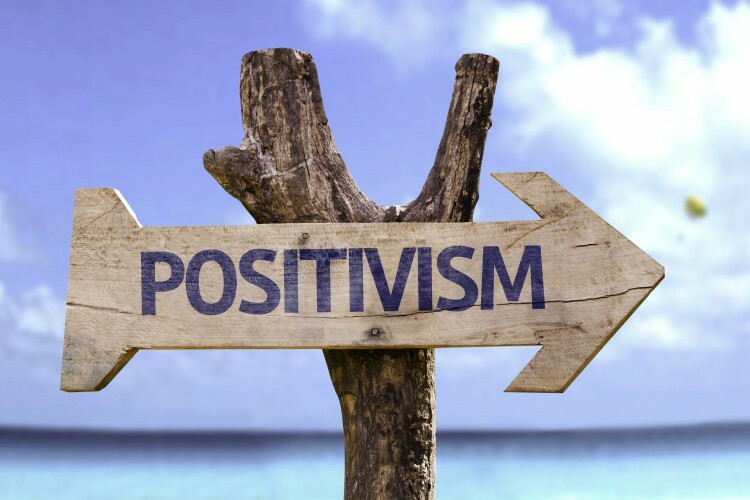 For the sake of powerful economic interests, sociopolitical consequences or simply different economic principles, one can try to discount, mitigate, compensate for, disregard or ignore altogether the way that things are. But doing so is to forgo the normative nature of the realist commitment in science. The scientific world, we have seen, is too complex and messy to be represented by any quasi-Wittgensteinian picture of atomic facts. Nor can the naive image of Comte’s positive science render justice to it. But acknowledging complexity and historical nuances gives no reason (or justification) for forgoing truth altogether; much less for concluding that science trades in falsehoods of some kind. It is part of our social responsibility as philosophers of science to set the record straight on such matters. We should expect science to tell us the truth because, by realist lights, this is what science ought to do. Truth – understood as getting things right – is not the aim of science, because it is not what science (or, better, scientists) should aspire to (assuming one has realist leanings). Instead, it is what science ought to do by realist lights. Thus, to judge a scientific theory or model as true is to judge it as one that ‘commands our assent’. Truth, ultimately, is not an aspiration; a desirable (but maybe unachievable) goal; a figment in the mind of the working scientist; or, worse, an insupportable and dispensable burden in scientific research. Truth is a normative commitment inherent in scientific knowledge. Constructive empiricists, instrumentalists, Jamesian pragmatists, relativists and constructivists do not share the same commitment. They do not share with the realist a suitable notion of ‘rightness’. As an example, compare the normative commitment to get things right with the view of the philosopher Richard Rorty, in whose hands Putnam’s truth as ‘idealised warranted assertibility’ reduces to what is acceptable to ‘us as we should like to be … us educated, sophisticated, tolerant, wet liberals, the people who are always willing to hear the other side, to think out all the implications’. Getting things right is not a norm about us at our best, ‘educated, sophisticated, tolerant, wet liberals’. It is a norm inherent in scientific knowledge. To claim to know something in science (or about a scientific topic or domain) is to claim for the truth of the relevant beliefs about that topic or domain. Thinking of truth as a normative commitment inherent in the very notion of scientific knowledge brings some benefits. It overcomes a false dichotomy between atomic facts and non-factive, non-truth-conducive inferences. And it makes realism compatible with perspectivism. Scientific communities that endorse historically and culturally situated scientific perspectives (either across the history of science or in contemporary science, across different fields or different scientific programmes) share (and indeed ought to) a normative commitment to get things right. That is a minimum requirement to pass the bar of what we count as ‘scientific knowledge’. Getting the evidence right, in the first instance – via accurate measurements, sound non-ad-hoc procedures, and robust inferential strategies – defines any research programme that is worth being called ‘scientific’. The realist commitment to get things right must begin with getting the evidence right. No perspective worthy of being called ‘scientific’ survives fudging the evidence, massaging or altering the data or discarding evidence. Scientists ought to share rules for cross-perspectival assessment. That our knowledge is situated and perspectival does not make scientific truths relativised to perspectives. Often enough, scientific perspectives themselves provide the rules for cross-perspectival assessment. Those rules can be as simple as translating the 10 degree Celsius temperature in Edinburgh today into the 50 degree equivalent on the Fahrenheit scale. Or they can be as complex as retrieving the viscosity of a fluid in statistical mechanics, where fluids are treated as statistical ensembles of a large number of discrete molecules. Let there be no doubt: scientific knowledge is the product of our getting it right across our perspectival multicultural scientific history. Scientific knowledge is not a prerogative of our Western cultural perspective (and its discipline-specific scientific perspectives) but the outcome of a plurality of historically and culturally situated scientific perspectives that, over millennia, have reliably produced knowledge with the tools, resources and concepts respectively available to each and every one of them. Scientific truths are the resilient and robust outcome of a plurality of scientific perspectives that, over time, have meshed with one another in their (tacit, implicit and often survival-adaptive) normative commitment to reliably produce scientific knowledge for us as humankind. That is why, far from being an insufferable hindrance to scientific pluralism, truth is in fact its best safeguard in tolerant, open and democratic societies that are genuinely committed to the advancement of scientific knowledge in the very many faces it comes with. Religious creeds are a great obstacle to any full sympathy between the outlook of the scientist and the outlook which religion is so often supposed to require … The spirit of seeking which animates us refuses to regard any kind of creed as its goal. It would be a shock to come across a university where it was the practice of the students to recite adherence to Newton’s laws of motion, to Maxwell’s equations and to the electromagnetic theory of light. We should not deplore it the less if our own pet theory happened to be included, or if the list were brought up to date every few years. We should say that the students cannot possibly realise the intention of scientific training if they are taught to look on these results as things to be recited and subscribed to. Science may fall short of its ideal, and although the peril scarcely takes this extreme form, it is not always easy, particularly in popular science, to maintain our stand against creed and dogma. Clive Best dove into climate models temperature projections and discovered how the data can be manipulated to make model projections look closer to measurements than they really are. 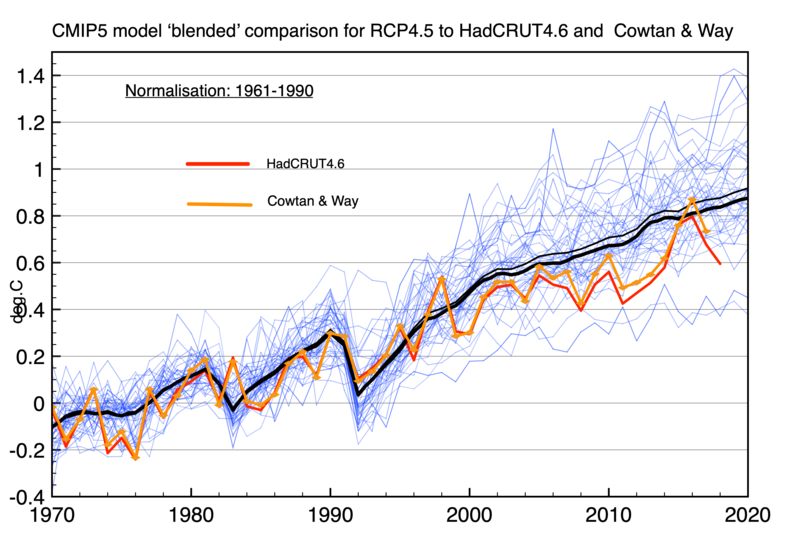 His first post was A comparison of CMIP5 Climate Models with HadCRUT4.6 January 21, 2019. Excerpts in italics with my bolds. Figure 4 shows a close up detail from 1950-2050. This shows how there is a large spread in model trends even within each RCP ensemble. The data falls below the bulk of model runs after 2005 except briefly during the recent el Nino peak in 2016. Figure 4. shows that the data are now lower than the mean of every RCP, furthermore we won’t be able to distinguish between RCPs until after ~2030. Clive’s second post is Zeke’s Wonder Plot January 25,2019. Excerpts in italics with my bolds. I have reproduced his plot and essentially agree that it is correct. However, I also found some interesting quirks. The apples to apples comparison (model SSTs blended with model land 2m temperatures) reduces the model mean by about 0.06C. Zeke has also smoothed out the temperature data by using a 12 month running average. This has the effect of exaggerating peak values as compared to using the annual averages. Effect of changing normalisation period. Cowtan & Way uses kriging to interpolate Hadcrut4.6 coverage into the Arctic and elsewhere. Shown above is the result for a normalisation from 1961-1990. Firstly look how the lowest 2 model projections now drop further down while the data seemingly now lies below both the blended (thick black) and the original CMIP average (thin black). HadCRUT4 2016 is now below the blended value. The detailed blending calculations were done by Kevin Cowtan using a land mask and ice mask to define where TOS and SAT should be used in forming the global average. I downloaded his python scripts and checked all the algorithm, and they look good to me. His results are based on the RCP8.5 ensemble. The solid blue curve is the CMIP5 RCP4.6 ensemble average after blending. The dashed curve is the original. Click to expand. 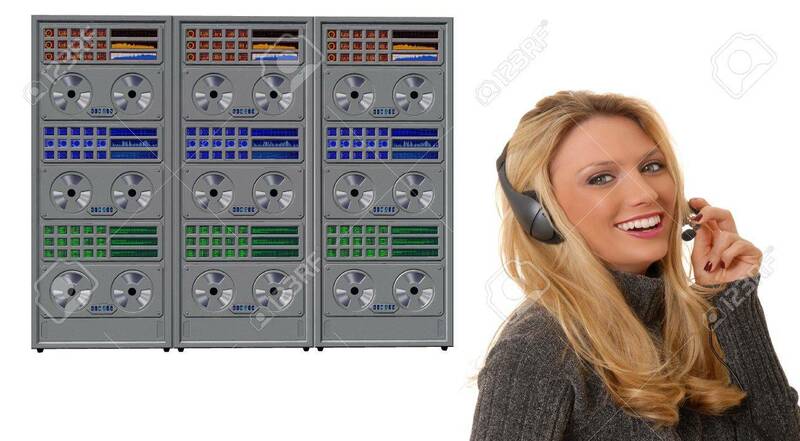 There are lots of ways to make computer models look good.Try not to be distracted. Scientists deploy an Argo float. For over a decade, more than 3000 floats have provided near-global data coverage for the upper 2000 m of the ocean. In a post at GWPF Nic Lewis critiques the Cheng et al. study and points in detail to the errors and misleading findings. His short analysis: Is ocean warming accelerating faster than thought? – An analysis of Cheng et al (2019), Science . Excerpt in italics with my bolds.  Contemporary estimates of the trend in 0–2000 m depth ocean heat content over 2005–2017 are significantly (> 95% probability) smaller than the mean CMIP5 model simulation trend. 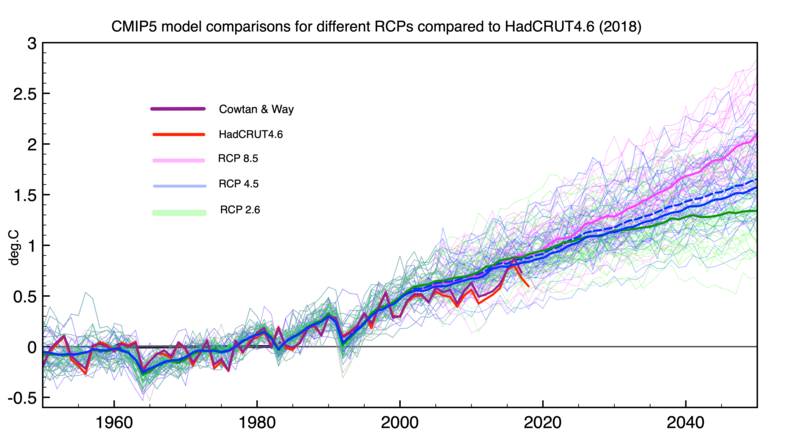 Figure 1: Updated 0–2000 m OHC linear trend estimates compared with AR5 and the CMIP5 mean. Error bars are 90% confidence intervals; black lines are means. Units relate to the Earth’s entire surface area. Here is a sample of yesterday’s coordinated reports from CCN- Climate Crisis Network captured by my news aggregator, listed by the most recent first. Note the worldwide scope and editorial poetic license on the titles. So the message to the world is very clear: Ocean Heat Content is rising out of control, Be Very Afraid! 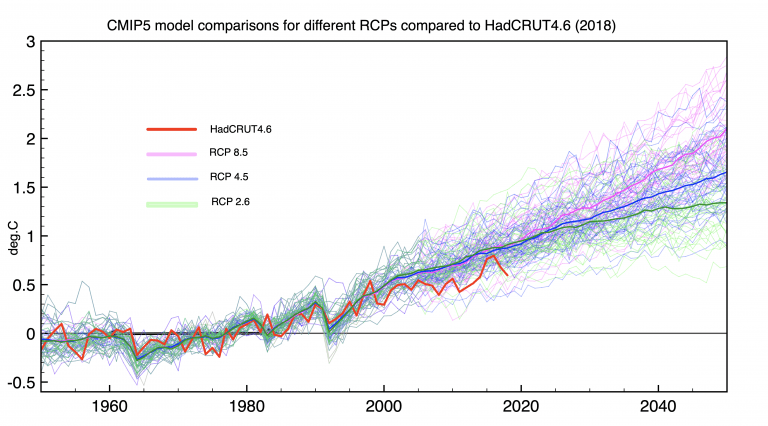 The trigger for all of this concern comes from this paper How fast are the oceans warming? by Lijing Cheng, John Abraham, Zeke Hausfather, Kevin E. Trenberth. Science 11 Jan 2019 Excerpts from paper in italics with my bolds. The Intergovernmental Panel on Climate Change’s Fifth Assessment Report (AR5), published in 2013 (4), featured five different time series of historical global OHC for the upper 700 m of the ocean. These time series are based on different choices for data processing (see the supplementary materials). Interpretation of the results is complicated by the fact that there are large differences among the series. Furthermore, the OHC changes that they showed were smaller than those projected by most climate models in the Coupled Model Intercomparison Project 5 (CMIP5) (5) over the period from 1971 to 2010 (see the figure). Since then, the research community has made substantial progress in improving long-term OHC records and has identified several sources of uncertainty in prior measurements and analyses (2, 6–8). 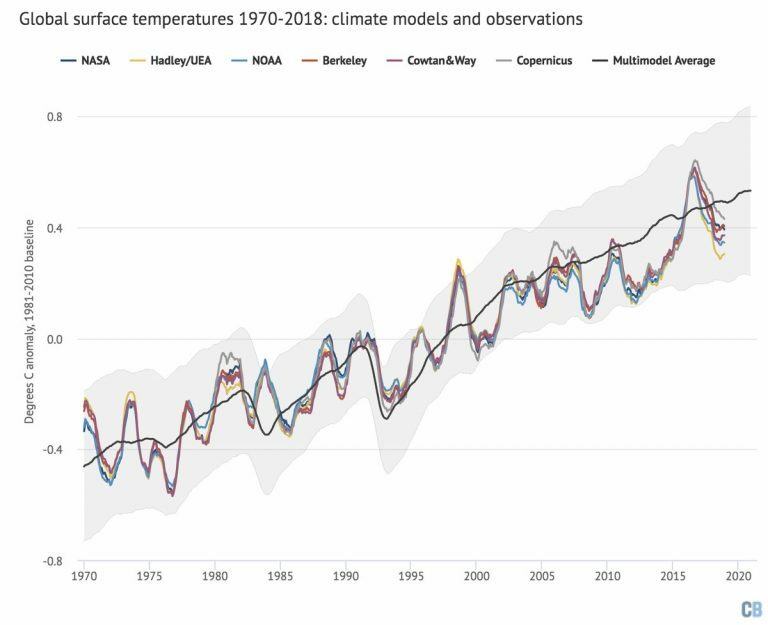 In AR5, all OHC time series were corrected for biases in expendable bathythermograph (XBT) data that had not been accounted for in the previous report (AR4). But these correction methods relied on very different assumptions of the error sources and led to substantial differences among correction schemes. Since AR5, the main factors influencing the errors have been identified (2), helping to better account for systematic errors in XBT data and their analysis. Multiple lines of evidence from four independent groups thus now suggest a stronger observed OHC warming. Although climate model results (see the supplementary materials) have been criticized during debates about a “hiatus” or “slowdown” of global mean surface temperature, it is increasingly clear that the pause in surface warming was at least in part due to the redistribution of heat within the climate system from Earth surface into the ocean interiors (13). The recent OHC warming estimates (2, 6, 10, 11) are quite similar to the average of CMIP5 models, both for the late 1950s until present and during the 1971–2010 period highlighted in AR5 (see the figure). 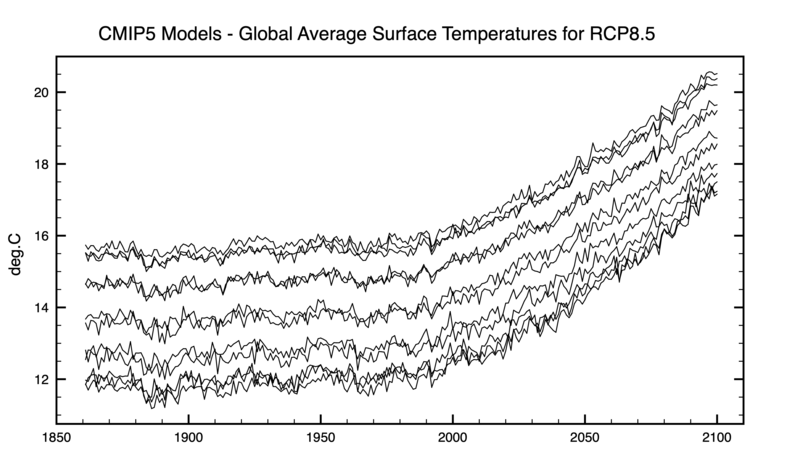 The ensemble average of the models has a linear ocean warming trend of 0.39 ± 0.07 W m−2 for the upper 2000 m from 1971–2010 compared with recent observations ranging from 0.36 to 0.39 W m−2 (see the figure). The Sea Surface Temperature (SST) record is a mature dataset, not without issues from changing measurement technologies, but providing a lengthy set of observations making up 71% of the surface temperature history. Sussing out temperatures at various depths in the ocean is a whole nother kettle of fish. The Ocean Heat Content data is sparse, both in time and space. The Ocean is vast, 360 million square kilometers with an average depth of 3700 meters, and we have 3900 Argo floats operating for 10 years. In addition we have some sensors arrayed at depths in the North Atlantic. As the text above admits, there are lots of holes in the data, and only a short history of the recently available reliable data. Other publications by some of the same authors admit: Large discrepancies are found in the percentage of basinal ocean heating related to the global ocean, with the largest differences in the Pacific and Southern Ocean. Meanwhile, we find a large discrepancy of ocean heat storage in different layers, especially within 300–700 m in the Pacific and Southern Oceans. Source: Consensuses and discrepancies of basin-scale ocean heat content changes in different ocean analyses, Gongjie Wang, Lijing Cheng, John Abraham. Again climate science alarms are raised after “reanalysis” of the data. No one should be surprised that after computer manipulations and data processing, the “reanalyzed” data has changed and now favors warming and confirms the climate models. The Argo data record by itself is too short to make any such claim. 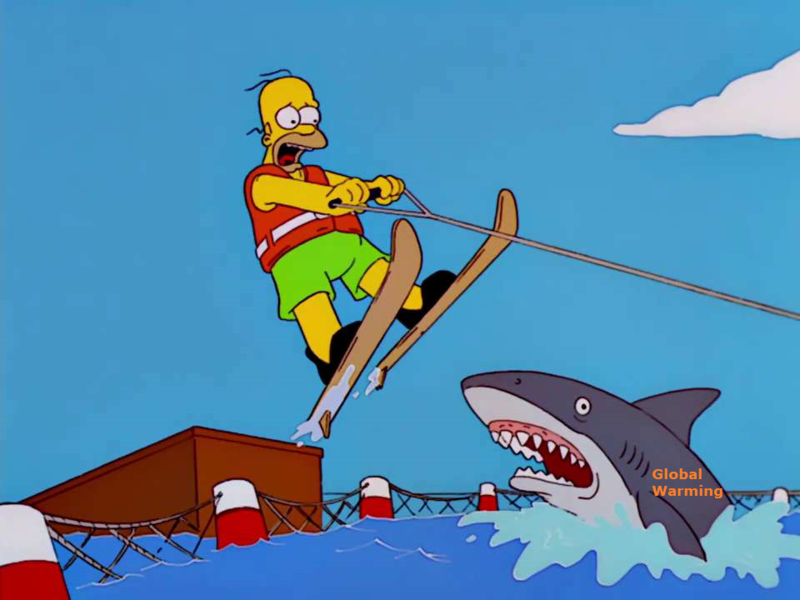 In previous studies, scientists were more circumspect and refrained from “jumping the shark.” Apparently, with the Paris Accord on the ropes in 2019, caution and nuance has been thrown to the wind, as witnessed by the recent SR15 horror show, and now this. Something didn’t look right to climate statistician Nic Lewis so he deconstructed the study, finding several methodological mistakes along the way. He explained and communicated with the authors in a series of 4 posts at Climate Etc. Nov. 6 through 23, 2018. Subsequent posts by Lewis found other differences between the stated method and the analysis actually applied, adding to the uncertainty of the study and its finding. Lewis is not done yet, and the paper has not been reissued. Unfortunately, it has not been retracted and is still cited in reference to unsupported claims of runaway ocean heat content. Meanwhile, other measurements, such as those in North Atlantic and Indian Ocean show slight cooling rather than warming, with researchers suspecting natural cyclical activity. So anxious are alarmists/activists to cry wolf that they are running the computers flat out to manipulate and extrapolate from precious but incomplete limited data to confirm their suppositions. All to keep alive a deflating narrative that the public increasingly finds offensive. Oceanographers know that deep ocean temperatures can vary on centennial up to millennial time scales, so if some heat goes into the depths, it is not at all clear when it would come out. Beware getting sucked into any model, climate or otherwise. With apologies to Paul Revere, this post is on the lookout for cooler weather with an eye on both the Land and the Sea. UAH has updated their tlt (temperatures in lower troposphere) dataset for December. Previously I have done posts on their reading of ocean air temps as a prelude to updated records from HADSST3. This month I will add a separate graph of land air temps because the comparisons and contrasts are interesting as we contemplate possible cooling in coming months and years. The December update to HadSST3 will appear later this month, but in the meantime we can look at lower troposphere temperatures (TLT) from UAHv6 which are already posted for December. The temperature record is derived from microwave sounding units (MSU) on board satellites like the one pictured above. The anomalies over the entire ocean dropped to the same value, 0.12C in August (Tropics were 0.13C). Warming in previous months was erased, and September added very little warming back. In October and November NH and the Tropics rose, joined by SH last month., In December 2018 all regions cooled resulting in a global drop of nearly 0.1C. Taking a longer view, we can look at the record since 1995, that year being an ENSO neutral year and thus a reasonable starting point for considering the past two decades. On that basis we can see the plateau in ocean temps is persisting. Global ocean temps are the lowest December since 2014. It also appears that the NH Autumn upward bump is over and temps will likely trend downward. We sometimes overlook that in climate temperature records, while the oceans are measured directly with SSTs, land temps are measured only indirectly. The land temperature records at surface stations record air temps at 2 meters above ground. UAH gives tlt anomalies for air over land separately from ocean air temps. The graph updated for December is below. The greater volatility of the Land temperatures is evident, and also the dominance of NH, which has twice as much land area as SH. Note how global peaks mirror NH peaks. In December air over Tropics fell sharply, SH slightly, while the NH land surfaces rose, pulling up the Global anomaly for the month. Despite the warming, air temps over land were the lowest December since 2013 both Globally and for the Tropics. And all regions are cooler than December 2015 when the El Nino was starting in earnest. TLTs include mixing above the oceans and probably some influence from nearby more volatile land temps. It is striking to now see NH and Global land temps dropping rapidly. TLT measures started the recent cooling later than SSTs from HadSST3, but are now showing the same pattern. It seems obvious that despite the three El Ninos, their warming has not persisted, and without them it would probably have cooled since 1995. Of course, the future has not yet been written. November Cooling by Land, or Cooling by Sea? With apologies to Paul Revere, this post is on the lookout for cooler weather with an eye on both the Land and the Sea. UAH has updated their tlt (temperatures in lower troposphere) dataset for November. Previously I have done posts on their reading of ocean air temps as a prelude to updated records from HADSST3. This month I will add a separate graph of land air temps because the comparisons and contrasts are interesting as we contemplate possible cooling in coming months and years. The November update to HadSST3 will appear later this month, but in the meantime we can look at lower troposphere temperatures (TLT) from UAHv6 which are already posted for November. 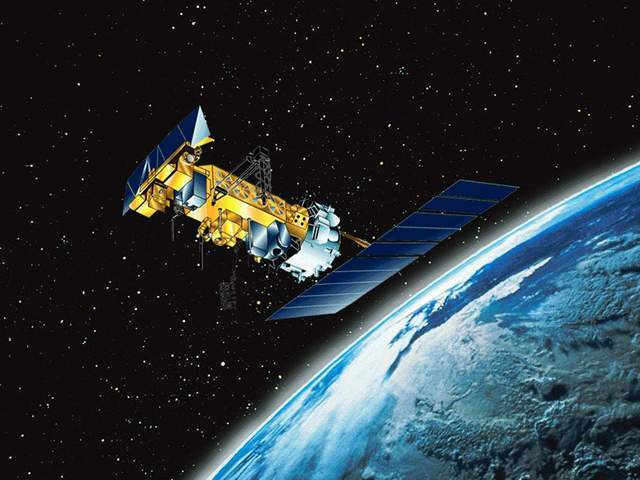 The temperature record is derived from microwave sounding units (MSU) on board satellites like the one pictured above. The anomalies over the entire ocean dropped to the same value, 0.12C in August (Tropics were 0.13C). Warming in previous months was erased, and September added very little warming back. In October and November, NH and the Tropics rose, joined by SH last month, resulting in a warming bump. As of November 2018, NH ocean air temps are matching all Novembers since 2013. Global and SH this year are the lowest November since 2015. OTOH ocean air temps in the Tropics are the highest November since 2015. We sometimes overlook that in climate temperature records, while the oceans are measured directly with SSTs, land temps are measured only indirectly. The land temperature records at surface stations record air temps at 2 meters above ground. UAH gives tlt anomalies for air over land separately from ocean air temps. The graph updated for November is below. The greater volatility of the Land temperatures is evident, and also the dominance of NH, which has twice as much land area as SH. Note how global peaks mirror NH peaks. In November air over SH and the Tropical land surfaces rose, while NH fell sharply pulling the global anomaly down. For the moment, UAH shows ocean and land temps moving in opposite directions, though still well below the peaks in 2015 and 2016. TLTs include mixing above the oceans and probably some influence from nearby more volatile land temps. It is striking to now see NH and Global land temps dropping in a mixed fashion. TLT measures started the recent cooling later than SSTs from HadSST3, but are now showing the same pattern. It seems obvious that despite the three El Ninos, their warming has not persisted, and without them it would probably have cooled since 1995. Of course, the future has not yet been written.